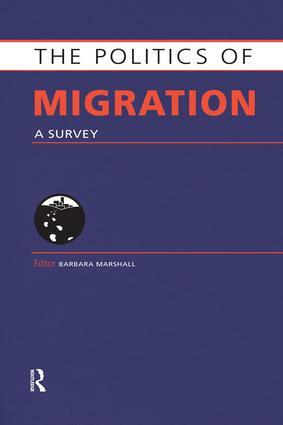 This new collection includes essays covering specific themes in the field of migration and geographic overviews, written by a variety of academics and experts. It also contains key maps and a glossary covering up-to-date issues in the field of migration, including theories, issues, countries, national and international organizations and personalities. Part 1: Essays 1. Introduction; 2. The Economics of Migration Policies Thomas Straubhaar;3. What Causes Migration? Poverty or Development? Or is it the Other Way Around? Arjan de Haan; 4. Irregular Migration Khalid Koser; 5. Refugees, Asylum-Seekers and the Internally Displaced: The Politics of Forced Migration Heaven Crawley; 6. Migration and Society Pontus Odmalm; 7. Migration in Europe Christina Boswell; 8. Moving Backwards? Migration in Sub-Saharan Africa Richard Black; 9. The Asia-Pacific Region Graeme Hugo; 10. Half a World in Motion: Migration Policy in the Americas Kevin O'Neil; 11. Migration in the Mediterranean and Middle East Martin Baldwin-Edwards; Part 2: A-Z Glossary; Part 3: Statistics International Migration.